Believe Dream Create with Maria: Happy New Year! Just wanted to say Happy New Year!!!!! Nothing like a fresh, new journal and a fresh new year! Health and Happiness to all of you in 2012! Happy New Year Maria! 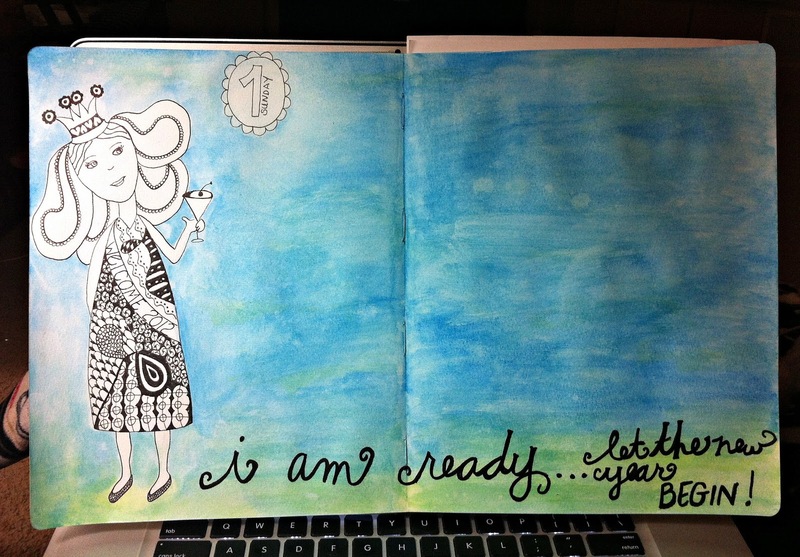 Love your journal idea, but not sure I have the time! !--Pat N.
oh maria...i forgot you do mixed media too. it is more than just a nice start my girlfriend. Love the lettering, love the dress on the woman, love that she is black and white, the background colors, and most of all that you are doing what makes your heart happy!!!! !